Everything you needed to know about Chinese food in Calgary, from the stories behind different Chinese cuisines to where to eat it. Lu. Yue. Chuan. Huaiyang. Those are the names of the four major cuisines in China, representing Shandong in the north, Guangdong (formerly Canton) in the south, Sichuan (formerly Szechuan) in the west and Jiangsu in the east. In Calgary, we arguably have four major Chinese cuisines of our own: Canadian-Chinese, Cantonese, Not-Cantonese and Urban-Modern. Here are their stories and directions on where to get them. Ginger beef from Golden Central. Photograph by Jared Sych. After the completion of the Canadian Pacific Railway, job opportunities for Chinese men who had immigrated to Canada to work on the railroad were few and far between. Many who stayed decided to open cafs in small prairie towns. At the time, restaurants weren’t frequented often, as most people ate at home, but as owners expanded their menus to include Chinese food, they became more popular because Chinese cuisine was seen as a novelty. 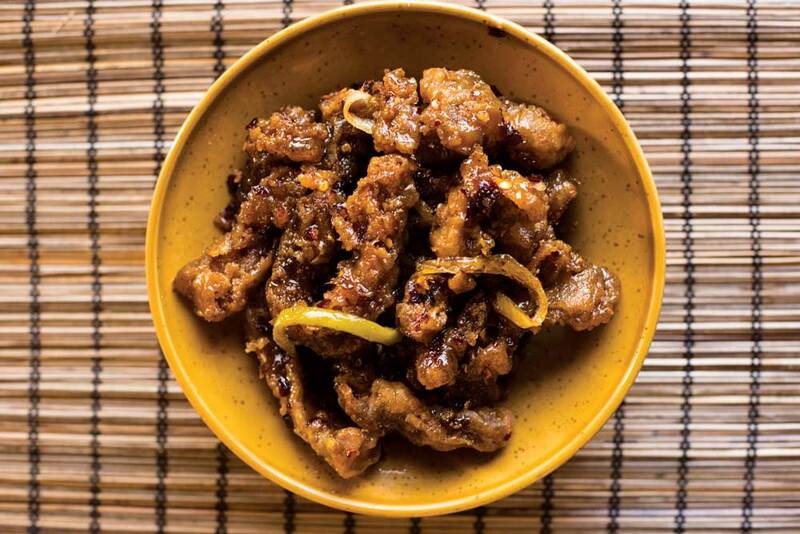 While many of the menu items had Chinese roots – for example, sweet-and-sour pork is based on a Cantonese dish, while General Tao chicken has loose ties to Hunan cuisine – they bore scant resemblance to dishes one would find in China. It was likely a combination of ingredient availability and a desire to appeal to local palates that led to the creation of the deep-fried, saucy and strongly flavoured dishes that we are familiar with today. 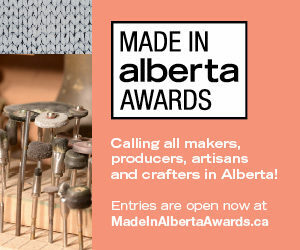 One made-in-Calgary example is ginger beef. Widely accepted to be the creation of George Wong, husband of one of the original owners of Silver Inn, ginger beef is based on a northern Chinese recipe that Wong brought with him to England, where he used to cook in pubs. Wong decided to try coating the beef in batter and deep-frying it before tossing it in a sweet and spicy sauce loaded with ginger and garlic. “Deep fried shredded beef in chili sauce” was thus born, which guests eventually started referring to as ginger beef. Silver Inn is credited with inventing ginger beef, but the place that does it best is actually Golden Central. Here, the lightly battered ginger beef is served hot and crispy with a sticky, sweet and spicy sauce that does not overwhelm the beef’s natural flavour. Dim sum from T.Pot China Bistro. Photograph by Jared Sych. The ’80s and early ’90s saw an influx of immigrants from Hong Kong in anticipation of the transfer of sovereignty from the U.K. back to China. As a result, demand for more “authentic” Chinese cuisine, particularly Cantonese cuisine, increased. The most iconic Cantonese dining establishment is the banquet hall or jau lau. Traditionally, during the day, old ladies navigated between the tightly packed tables pushing carts piled high with dim sum. 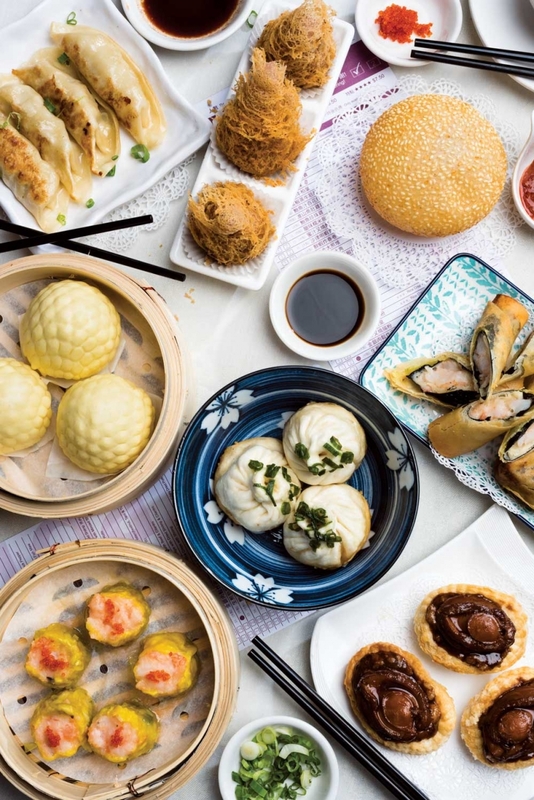 Items included bamboo steamers of har gow, siu mai, beef balls, rice crepes, and steamed buns, or deep-fried delights such as spring rolls or taro dumplings. 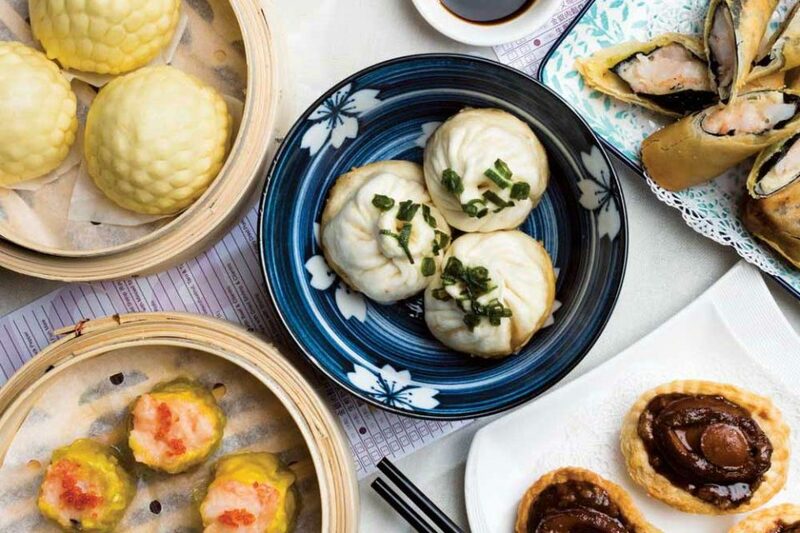 Nowadays, most restaurants have retired the carts in favour of ordering sheets — a win for diners as the dim sum is freshly prepared on demand, and a win for the restaurants as it reduces costs and food waste. By night, banquet halls were and still are the place to go for dinner. Usually, Chinese people will dine out with extended family or multiple families — it is rare to see parties of fewer than six people. Cantonese cuisine, like all Chinese cuisine, is typically served family-style. The meal will often start with soup, then a variety of dishes are served in the middle of the table, which everyone picks from to eat with individual bowls of white rice. Compared to other Chinese cuisines, Cantonese food does not use a lot of spices, instead using ingredients such as ginger, garlic, scallions and cilantro to enhance the natural flavours of the main ingredients. Most dishes are cooked in a wok over high heat, but stewing, braising and steaming are techniques that are often used as well. Because of the region’s close proximity to the ocean, seafood features prominently in Cantonese cooking, as does pork, chicken and beef. Dried seafood, like shrimp and scallop, is sometimes used to add richness and savouriness. Chinese cuisines are not known for desserts. Sweets are generally eaten outside of meal times and are typically not very decadent compared to western desserts. It’s not uncommon to end a meal simply with fresh fruit. “Dessert soups,” or tong sui, are a unique feature in Cantonese cuisine. One of the most well-known is red bean soup, a thick, chunky soup made with adzuki bean, dried mandarin peel and sweetened with rock sugar. Banquet halls are often rented for special occasions like weddings or birthdays. Typically, a multi-course dinner is served, featuring delicacies such as shark-fin soup, abalone and bird’s nest. For more casual dining, smaller restaurants will often serve dishes that can be quickly prepared, like stir-fries or noodles. Some of these restaurants will also serve Chinese barbecue — marinated pork, chicken, duck (and if you’re lucky, goose) cooked rotisserie-style. It’s common for Chinese families to jaam liu (literally, “chop ingredients”), as in purchase some of these prepared meats as part of their groceries to complement other dishes in a home-cooked meal. Forbidden City and T.Pot China Bistro are both textbook examples of busy Cantonese banquet halls. For a more casual dim sum spot, try U&Me — the XO sauce fried turnip cakes are a must-try. Sun’s BBQ makes some of the best Chinese barbecue for take-out and also has an extensive menu for those dining in. Sliced basa in marinated vegetable hot pot from Szechuan Restaurant. Photograph by Jared Sych. With the rapid growth of China’s middle class, the past couple of decades have seen an increase in immigration to Calgary from mainland China. While Cantonese restaurants have often served versions of dishes from other Chinese cuisines, these dishes may be very different from the original. For example, Sichuan cuisine, known for its spiciness and “numbing” Sichuan peppercorns, is quite distinct from Cantonese food, which is relatively mild. Cantonese versions of mapo tofu, a Sichuan dish, often use ground pork and might add a little bit of hot sauce or chili oil for some heat. By contrast, recipes from Sichuan use ground beef, which has a stronger flavour, as well as pixian doubanjiang, a fermented chili-and-bean paste made in a specific region of Sichuan. Other cuisines have more subtle differences. Shanghai cuisine is known for soup dumplings (xiaolongbao), red-cooked pork, steamed buns and stir-fried rice cakes. It is similar to Cantonese cuisine in that it is mild in taste and heavy on the seafood, but incorporates more sweet-and-sour dishes and more noodle dishes. Beijing cuisine, known for Peking duck, hot-and-sour soup and noodles with soybean paste (zhajiang mian) is a bit of a melting pot of different cuisines, as historically chefs travelled from all over China to cook for the emperor. Szechuan Restaurant is arguably the best place for authentic Sichuan food in Calgary, if not all of the prairies. Mapo tofu, kung po chicken, dan dan noodles and boiled sliced basa in hot-sauce soup are classic Sichuan favourites. Even if you like things spicy, start with “mild” and work your way up. Although the chefs have toned down the spice in the past few years, you might be surprised by the level of heat. Not a fan of spice? Great Taste serves Shanghai, Sichuan and Cantonese cuisines. The xiaolongbao (or “steamed Shanghai pork dumplings” on the menu) filled with juicy pork and hot broth are the best in the city. The same can be said about the wontons in spicy sauce — pork and vegetable dumplings with lots of extra wonton skin to sop up the light sauce flavoured with Sichuan peppercorns. 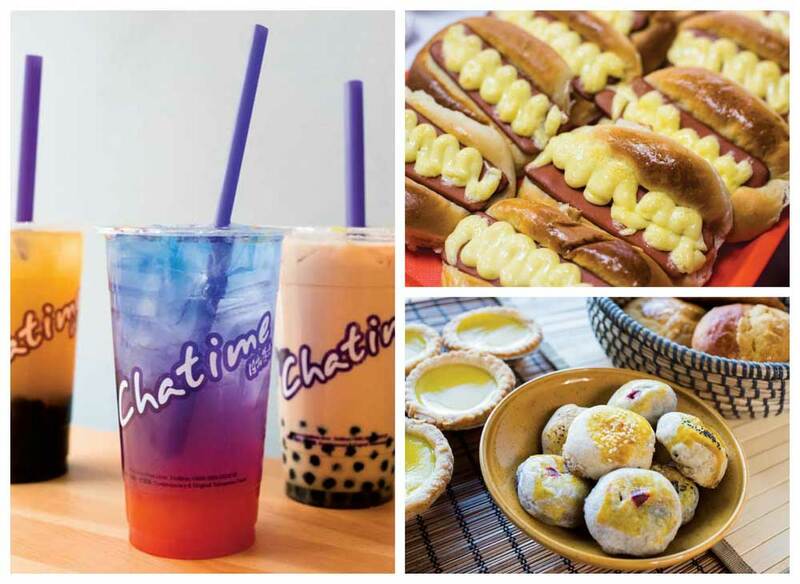 Clockwise from left: Bubble teas from ChaTime; hot-dog sweet buns from Rainbow Bakery; an assortment of coconut tarts, sweet buns and wife cakes from Rainbow Bakery. Photographs by Jared Sych. As with many cuisines, Chinese foods, flavours and techniques are constantly evolving. Particularly in urban centres, there is demand for quick, inexpensive meals and snacks, as opposed to the more formal dining experience at a banquet hall or restaurant. Under British rule, Hong Kong was heavily influenced by western culture. Before the Second World War, western food was only available at high-end restaurants that catered to expats. After the war, cha chaan teng (literally, “tea restaurants”) started popping up, serving a mix of Chinese and westernized dishes. Just as most Canadian-Chinese dishes cannot be found in China, many of these “Canto-Western” dishes, like milk tea (strong black tea with evaporated milk), macaroni soup with canned ham and pineapple buns (named for their shape, not for their flavour) would seem strange here. Hong Kong-style cafés draw inspiration from many cuisines, serving their own versions of Indian curries and Japanese noodles or teriyaki. Similarly, Chinese bakeries offer westernized breads, cakes and pastries in addition to more-traditional Chinese treats. Most households in China don’t have ovens, partly because baking is not a technique often used in Chinese cuisine, and partly due to space constraints. Unlike the crusty or grainy breads favoured here, Chinese people like their breads soft, doughy and sweet, even when a savoury filling is used. Many of the breads are made using a method called tangzhong, or “water roux,” where some of the flour and water are heated together ahead of time, before being mixed in with the rest of the dough. A more recent addition to “Chinese” cuisine is bubble tea, or boba, which hails from Taiwan. The original version is iced milk tea with large, black tapioca “pearls,” though the beverages that the pearls can be added to quickly expanded to include a variety of flavoured teas, fresh fruit juices, powdered mixes and slushes. Aside from pearls, most bubble-tea shops also have a selection of jellies, puddings and exploding/popping pearls (like the Gusher candies of our youth) for customers to choose from. The latest trend is to add a milk or cream cheese-based foam to the top of the drinks. Many bubble-tea shops also sell street snacks, such as curry fish balls, chicken wings and bubble waffles (specially shaped waffles that break off into little balls, or “bubbles”), and desserts such as crepes or shaved ice piled high with jellies, fresh and canned fruit, and simple syrup. Calgary Court, Pebble Street and Café H.K. Calgary Court is one of the longest surviving Hong Kong-style cafés in Calgary. Owned by the Taste of Asia Group, it has a similar menu to its sister restaurants, Pebble Street and Café H.K. Rainbow Bakery offers a mix of traditional Chinese treats, like coconut tarts and wife cakes, alongside cookies, cakes and sweet buns filled with hot dogs, barbecue pork, curry beef or spam and cheese. You can also custom order cakes for special occasions. Cash or debit only. ChaTime, an international chain from Taiwan, specializes in bubble tea made from a variety of flavoured teas. Another great bubble tea shop is Try Again, a little hole-in-the-wall run by a mother-daughter duo, serving up a dizzying selection of fruit-flavoured drinks. Dan dan noodles from Eats of Asia. Photograph by Jared Sych. 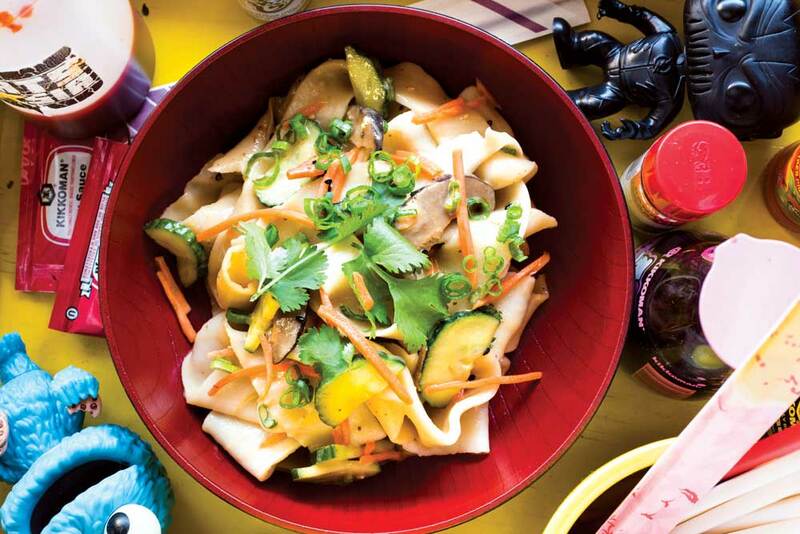 As food trends continue to evolve, so too does the presence of Chinese cuisine in our city. 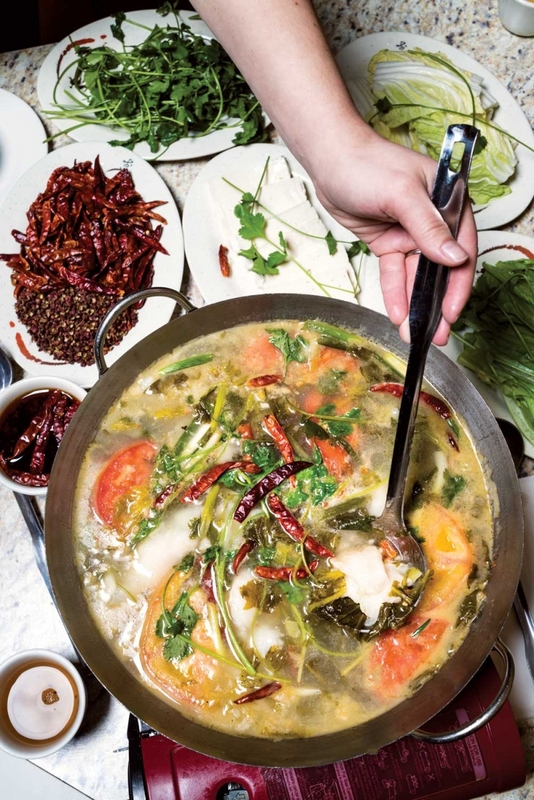 From hole-in-the-wall mom-and-pop shops to the hotspots in the heart of the action, chefs and restaurateurs are pushing the boundaries of what is considered Chinese food. “Modern Asian” is a booming trend in Calgary these days. Two Penny Chinese serves up contemporary takes on recipes and flavours from all over China and pairs them with innovative cocktails. Eats of Asia at the Crossroads and Calgary Farmers’ Markets does pan-Asian street food. Their hand-pulled dan dan noodles and steamed bao are bursting with flavour, and they will bust out a congee special once in a while, too. Mi Noodle specializes in Taiwanese-style beef noodle soup but its menu also features noodle dishes and snacks from all parts of China.